The Blacktail Creek Trail travels through open grassland then drops to the ruggedly beautiful Black Canyon of the Yellowstone. Located in Yellowstone's northern range, the Blacktail Creek Trail takes hikers and backpackers 8 miles north to reach the Yellowstone River. Travelers are treated to views of sagebrush covered grasslands that merge with forested slopes. This trail is good route to get into the wild Black Canyon of the Yellowstone. This is an excellent area to wander amongst the bison with a possible grizzly bear sighting thrown in. It's a relatively gradual downhill grade until the final 1.5 miles when the trail plummets to the level of the Yellowstone River. 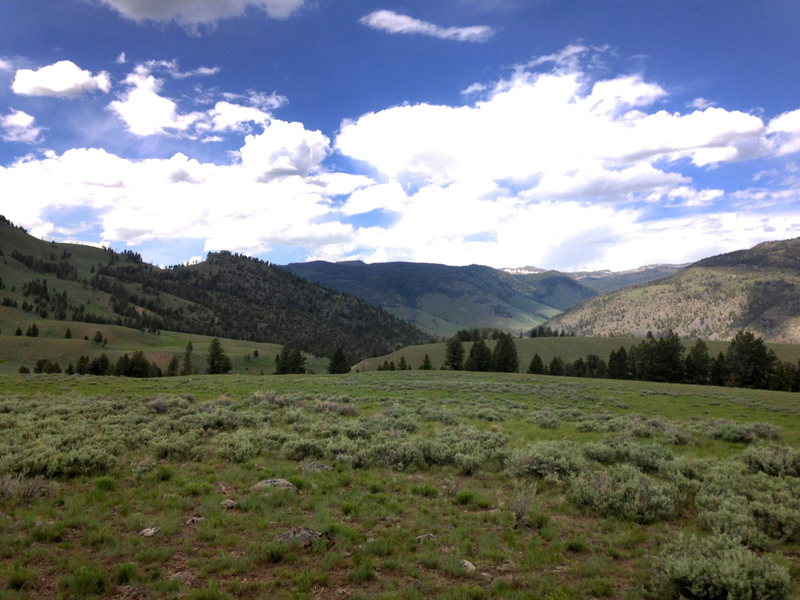 Blacktail Creek is an excellent early and late season trail because the first section of open grassland is hot in mid-summer. But that openess and the trail's lower elevation allows it to be snow-free early in spring and fall when some other trails are impassable. From the trailhead you'll pass by three glacial kettle ponds. As you're hiking, look for large boulders that seem out of place. These boulders and the shallow ponds are caused by glaciers. As glaciers retreat, large boulders eventually drop out. Kettle ponds are formed as those same boulders gouge and carve the ground underneath the glaciers which later fill with water. Blacktail Ponds are crucial wildlife habitat for all sorts of waterfowl and sandhill cranes. Past the ponds is the intersection with Rescue Creek Trail which is where the first backcountry campsite is. At nearly 3 miles from the start you can see a waterfall cascading over a lip of columnar basalt. The trail then drops into a sharp ravine and finally reaches the Yellowstone River at just under 4 miles. There's a suspension bridge over the river with two campsites before the bridge and four on the opposite side. An additional two sites are located near the Blacktail Patrol Cabin. At four miles and a steep descent the final reach, this is a great moderate backpacking trail. It's nice to know you don't have to turn right around and climb back out the minute you get there. The open nature of the trail is nice since so many other trails in the park wind through impossibly thick stands of regenerating lodgepole pines from the 1988 fires. One interesting feature about this trail is that it crosses the Wyoming/Montana state line. If you're fishing there's no need to worry as the only permit you need is a Yellowstone fishing license. 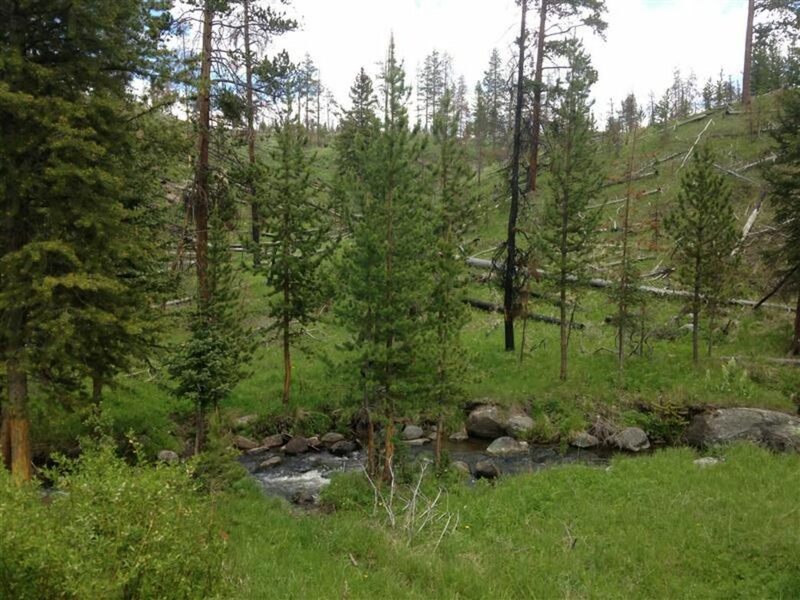 From Cody, take US HY 141/16/20 west to Yellowstone National Park. Turn right at the Fishing Bridge Junction towards Canyon. At Canyon go straight over Dunraven Pass to Tower Junction. Continue straight at Tower Junction towards Mammoth for 11.3 miles. The trailhead will be on your right, with plenty of parking. You'll need a Yellowstone entrance permit which you'll purchase at the East Entrance for $25. You'll also need a backcountry permit for camping. If you're fishing obtain a park fishing license. Carry bear spray. Cell service is non-existent. Pets are absolutely not permitted, leashed or otherwise.